Android proves to be smart day-by-day as it never lacks in improving its products and always tries to provide excellent software to its users. Now, the time has arrived where people can’t think of living without smart apps and having Android is their top choice. Why not? Its camera works as a digital camera and users love to capture awesome pictures and beautiful moments. Those clicks are significant for every user and want to keep them saved at any cost. But, have you ever wondered if you lose those pictures from your Android device? You don’t need to worry, but you should give a thought to it so that you come to know that Android has a premium solution to your deleted photos. Thanks to photo recovery apps for Android! Reasons behind deleting photos can be many, but the solution is one. You should be cognizant of the supreme photo deleted recovery software and keep it installed in your device before it’s too late. How Photos Loss Occurs? Basic Reasons to Know! Due to rooting the android device and more. Well, everyone would like to restore deleted images, especially the precious memories. It would be good for you to know that it is possible to recover deleted photos from Android phone because they are not permanently removed from the device. Keep in mind that deleted data is located in internal storage or external storage, but is invisible to you. What Should You Do Before Proceeding for Professional Help? Before knowing how to retrieve deleted pictures, there are certain things to remember about recovering lost photos. Stop using your phone the moment you come to know about the data loss. Don’t experiment anything from your side else new data can be overwritten or misplaced. Turn off your Wi-Fi or mobile data in order to save losing any new data stored in your device. Don’t decide instantly to look for any photo recovery software. Invest hours in searching for powerful and best photo recovery app for Android that can successfully restore all your deleted images in no time. Formatting a phone helps in fixing various issues of a phone, but doesn’t sound great when deletion of photos from gallery takes place. 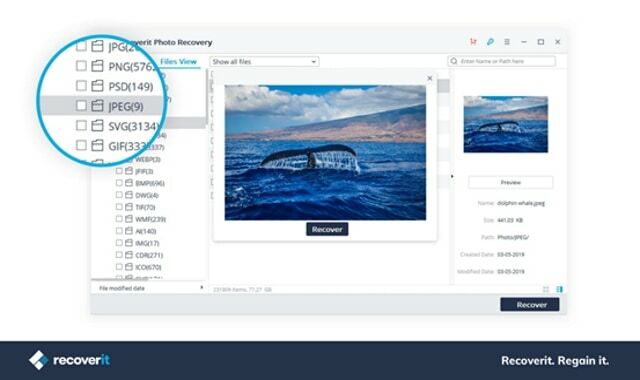 Your selected photo restore app must simplify the data rescue job and increase the chance of photo recovery in one go. Files in devices are easy targets for the virus. It can encrypt and damage your saved photos without your concern. Though the availability of anti-virus programs proves to be fruitful, they focus on removing the virus before repairing damaged files. Thus, restoring an image task requires a professional tool. It is a common mistake occurred ever. Look for the best android photo recovery software such as Recovery it that allows you to restore recently or permanently deleted images, audios, and videos from your device and recycle bin. Not only limited to recovering deleted photos or videos, but the app you select must also possess a feature of getting data that is lost due to mishandling. For instance, the software must recover deleted photos from SD card as well. Fortunately, with the advancement in technology and without any professional knowledge needed, it is possible to retrieve deleted photos from android that has been lost due to a system crash. There are many ways that data can be lost from your phones or systems. It would be helpful if your device has a smart solution to deleted photos in any loss scenario. 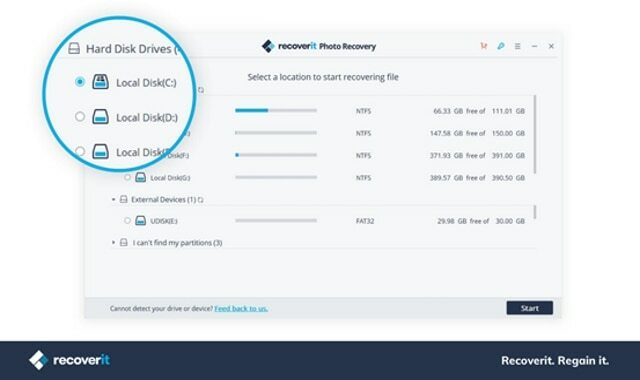 Installing Recoverit photo Recovery Software is an effective way to experience recovering deleted photos from Android SD Cards with a simple downloading and guidance provided by the app. Recoverit Photo Recovery Software is an amazing application to get back your lost pictures in simple steps. You do not need to be an expert to operate this software. Following are some steps that you need to follow to undelete your pictures. 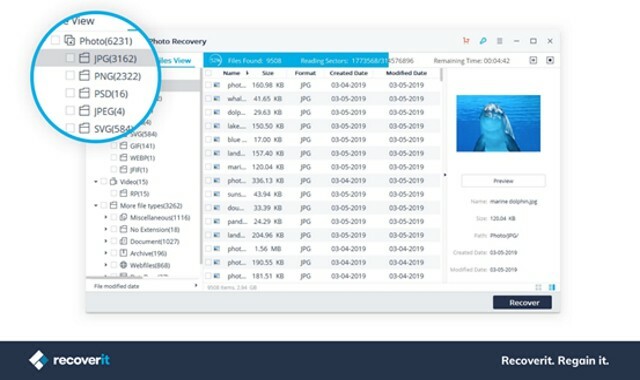 The first step to operate Recoverit photo Recovery Software is to clearly specify and select the exact data lost scenario or accident after successfully launching this software in your system. In this part of photo recovery, you need to select the location in your device from where the data loss has occurred. This software scans the drive and display all the lost images. The third and the last step is the selection of the desired pictures to be retrieved. It also asks for the exact location to restore your pictures. Photos are memories and keeping those memories saved in your phone or other devices is the best you do with your clicked ones. But, consider every type of situations including lost photo as well so that accidentally deleted photos would never be regretting. 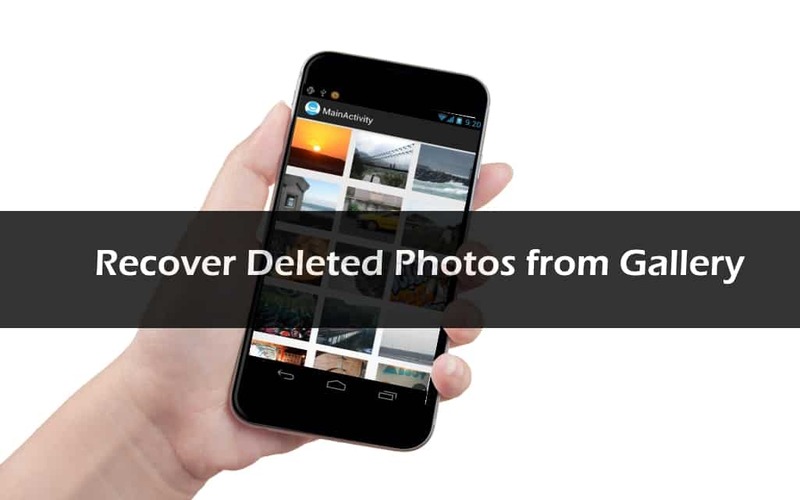 This blog highlights users’ guidance to know how to recover deleted photos from Android gallery by selecting suitable software online.